Emmy winner Melissa McCarthy was 20 and had $35 to her name when she headed to New York, a city she had never visited, to begin her career. "I just showed up and I thought, 'This should be easy.' I was sharing a bagel a day with somebody and then I started collecting jobs," the actress, now 48, told reporters in Manhattan on Saturday. McCarthy honed her craft by performing in plays in the Big Apple from 1990 to 1997, just before apartment prices sky-rocketed and chain businesses crushed mom-and-pop shops and independent eateries. The Bridesmaids, Heat and Ghostbusters alum said one of the aspects she loved best about her latest movie Can You Ever Forgive Me? is that it painstakingly recreated this bygone era of New York and let her live there again, if only for a few weeks. "To me, it's the most magical time. I loved it. I came from a little farm town, so the grit and people working four jobs because they wanted something," she said. "We lived in a studio, but had a Manhattan apartment. We did it." The actress said she doesn't understand present-day New York. "I like it very much, but it's not mine. So I take maybe unreasonable ownership of those '90s as it was everything to me." In the film, McCarthy plays real-life celebrity biographer Lee Israel, who turned to literary forgery when her books went out of style. Depressed and living alone with her sick cat in a tiny apartment, Lee wrote and sold to collectors letters that she claimed were penned by dead writers and screen stars. After she got caught, she pleaded guilty to conspiracy and transporting stolen property in 1993, then served six months under house arrest and five years on federal probation. Her tell-all Can You Ever Forgive Me? : Memoirs of a Literary Forger was published in 2008. She died in 2014 at age 75. Richard E. Grant (Gosford Park, Logan) plays Jack, a dashing, but destitute mooch and Lee's eventual partner in crime in the movie version of Lee's life The cast also includes Dolly Wells, Jane Curtin, Anna Deavere Smith, Stephen Spinella and McCarthy's husband, Ben Falcone. "It's not even the area that you expect a crime to happen. You don't expect that type of person to end up with the FBI after them," McCarthy said. Lee's abrasive personality and inability to meet the demands of a changing publishing industry meant she was in real danger of becoming obsolete, despite her considerable talent. "She wasn't adaptable. She had no flexibility to go out and just get a different job, go out on an interview and charm someone," McCarthy said. "She couldn't do anything else and she wasn't a people person, to say the least. And I just kept thinking, 'What would any of us do if we lost this one means to survive?'" McCarthy marveled at how age and expertise could be regarded as anything but positive. "Instead of people being revered and thought of like: 'Oh, my gosh! They have 30 years of experience -- how amazing!' It's now kind of like, 'What about that 20-year-old?' Or, 'What about the person that's more fun at the party?' It certainly doesn't make them a better writer or artist or fill-in-the-blank of whatever profession you may be," she said. Lee was known for hiding behind her high-profile subjects and, although she depended on the income, she did not seek the public's approval or adoration. "I loved how she did not require anyone to tell her what she was. I think we live in a current state where people really need to have other people validate who they are. 'How was my vacation?' 'Do you like me if I went to this party?' They need the reflection of others to see themselves, which I don't think like that, and I love that Lee didn't need that," McCarthy said. Smiling warmly throughout her chat with journalists, the actress' upbeat demeanor and stylish look were distinctly different from Lee's prickly personality, ill-fitting, colorless clothing, messy hair and makeup-free face. "Energy-wise and social-wise, Lee is very different from me," McCarthy said. "When things didn't fit right, I was like, 'Leave it!' It shouldn't fit. It's 15 years old. ... I did love that because you don't get that in a movie very often where you let the bad fit ride," she said of Lee's attire. "It was like cashmere and tweed armor. Once it got on, I did really feel like I felt the weight of her. Things were heavy and we had things of a certain weight on me at all times. I just thought she literally feels weighted." 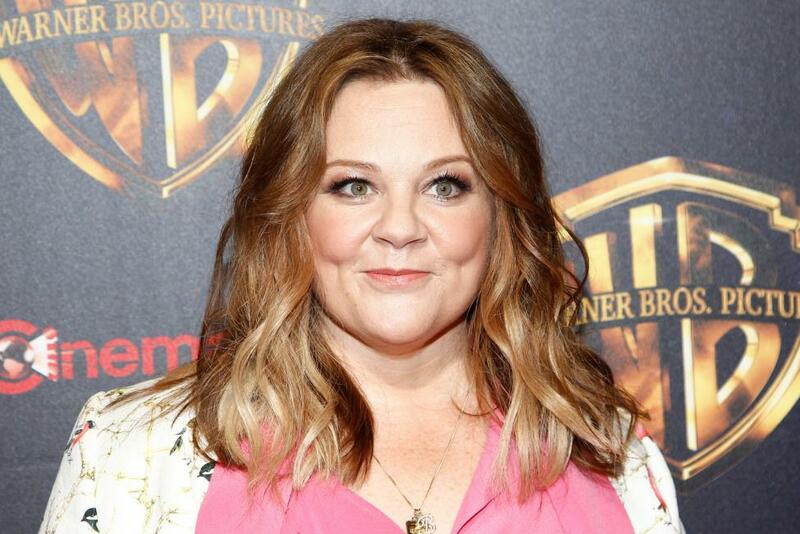 McCarthy is also known for her work in the films The Happytime Murders and The Boss, and in the TV shows Gilmore Girls, Mike & Molly and Saturday Night Live. Directed by Marielle Heller, Can You Ever Forgive Me? is set to open nationwide Friday.